Discover a New Dimension in Color printing for garment decoration with the new OKI Pro8432WT A3 White Toner Printer with its exceptionally high quality white, compact design and easy handling. 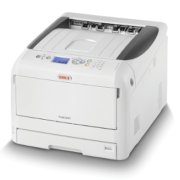 The compact OKI Pro8432WT is the successor of the Pro9420WT and even fits in small design studios or print shops. Unleash the creative potential of your business with OKI’s Pro8432WT White Toner color printer. 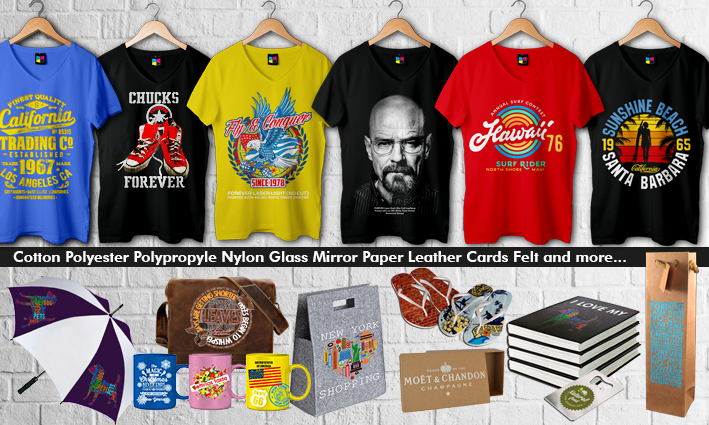 Compatible with all FOREVER NO-CUT Transfer Media. Please download the official OKI Data CMF profile update software and instructions by clicking the DOWNLOAD button below. Follow the instructions step-by-step to update your printer’s CMF profiles. These steps are absolutely necessary to achieve optimal and error-free printing results. FOREVER only provides technical support for printers which have been updated. The time of Cutting and Weeding is over. We have the simple solution! An all-rounder for textiles and various hard surfaces! Take a closer look at our No-Cut digital heat transfer solutions. 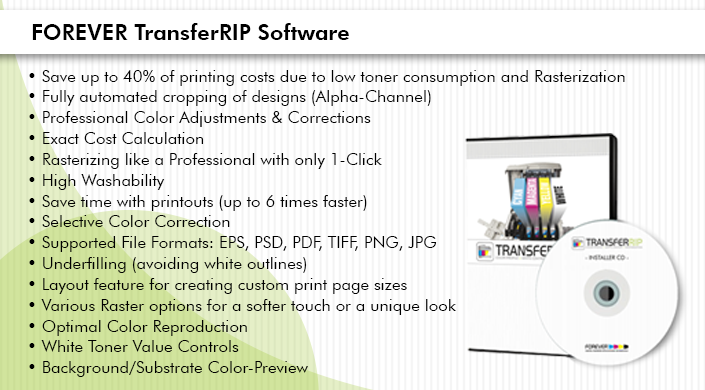 For brilliant and color-intensive print quality, up to 60% toner savings, significantly faster print output, cost calculator, screening and increased wash resistance as well as other advantages, we recommend using our FOREVER TransferRIP Software.